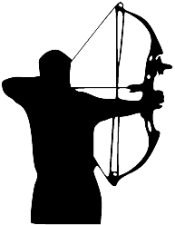 For more information call the club or e-mail archery@marlborofishandgame.com. If the weather is inclement on Monday we will shoot on Tuesday for that week so we don't lose opportunities to shoot. The idea is to hone your skill for Archery Season, so the more you shoot theoretically the better you become. Come down & shoot & see if it's true for you. Monday Night Archery will begin again in May and will continue until fall hunting opens. Open to the public. Cost is $8 for MFG members and $10 for non-members per week. Starting time is 5 PM. come on down for fun and the practice. Portion of weekly fee goes to pay for cost of banquet at end of league in August. Our archery practice area and target butts that are setup through-out the property are open to all members except social members. See our Partner Clubs section in the Contacts area. This page was last modified on 30 April 2017, at 21:08.